1917-1918 - The Films of Wallace Reid silent era films of Wallace Reid. 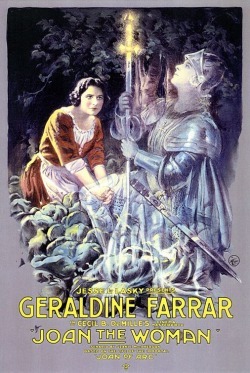 Poster and a Scene from Joan the Woman , starring Geraldine Farrar and Wallace Reid. 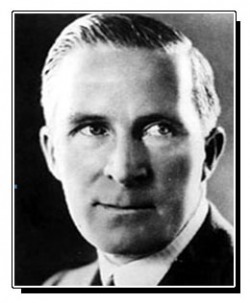 He directed Wally in a couple of films. Later, fate would tie the two together because of their deaths which would cause a sensational scandal in Hollywood. 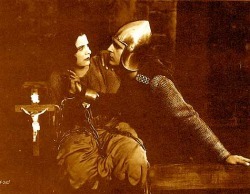 A scene from this movie with Wallace Reid and Ann Little. They would work together in many films, specially at the height of Wally's popularity.